Rather than beating a long-dead horse talking about what happened to Siri, I want to focus on what changes may be coming in the wake of this shift. In my opinion, this move could be as dramatic and important as the one that put Jony Ive at the head of iOS interface design in the wake of Scott Forstall’s departure from Apple. Just as things stand right now. we didn’t know what to expect at the time, and I don’t think anyone could have seen the massive amount of change that Ive brought to iOS, starting in iOS 7. If you recall, up to that point, each iOS release slowly added new features at a very measured pace, and the basic interface never changed. iOS 7 was a big departure that didn’t just change the entire look and feel of iOS, but let go of many interface conventions that had been mainstays of the platform. Since then, other than the brief slow-down in iOS 9 as Apple looked to tune things up after two major rounds of changes, most releases have brought more new features, and have crossed boundaries that we at one time wondered if iOS would ever venture towards. The additions of App Extensibility, true multi-tasking, and now centralized file sharing come to mind as things that once seemed like they weren’t part of Scott Forstall’s more modest vision for iOS. As I type this on my iPad Pro running the iOS 11 Beta with multiple windows open and an interface made to take advantage of the power of the hardware, I feel like this operating system is light years from the version of iOS 3 that ran on my original iPad. A big reason why I think moving Siri to the OS group could be this big is because it is just a naturally better fit for what Apple needs to do with it. Before I go into that, let’s think about how Services work, since that’s where Siri has been grouped for the last five years. If you look at Apple Maps, Apple Music and iCloud as examples, once you get a service like these up and running, the focus is then on stability and uptime first, and slowly rolling out incremental features and updates second. Innovation is a distant third here, because rapid change isn’t the focus of such a product. Granted, Maps and iCloud both had problems when they came under Cue’s control, but they weren’t feature problems. They were function problems, and Cue’s group was the perfect place to address them. If we look back to when Siri was originally moved to Eddy Cue’s control, he was seen as the “Mr Fixit” within the company. He was the man tasked with rescuing Apple from the initial rollout problems with both iCloud and Apple Maps. If you look back at those two products today and think about how far they’ve come, you have to give Eddy Cue and his team credit for that. The thought when Siri was handed to him was that he would “fix” it the way that he was tasked with fixing other aforementioned products. However, if you look back at where Siri was at the time, I think he did make the kind of improvements that you would expect him and his team to make. Do you remember how often Siri used to not be available to take a request? This used to be a very common complaint with the service. I rarely if ever see issues like that anymore, and that is EXACTLY the kind of problem I would expect the Services specialist to fix. The problem is that Siri’s issues now go well beyond basic functionality like uptime and network availability. The issues no longer fit the expertise of Cue’s Services group. I think what everyone in the industry knows is that Apple needs more innovation, more progress on their customer-facing interface and capabilities, and more AI expertise behind Siri. The OS Group, which is focused on products that require faster innovation and a constant focus on new and more refined features, is a much better home for a product like Siri because of this. It took a few years, but Apple now has a stable enough server structure to handle offering services like iCloud and Siri to the masses. It’s time to take the focus off of the back-end, or Service side of Siri, and put it back on the customer-facing side, which still needs a massive overhaul. Honestly, this move really should have come two years ago, but better late than never, I guess. As successful as Tim Cook has been, the delay in making this move ultimately falls on him. Based on Craig Federighi’s comments on Siri as part of this year’s WWDC Keynote (he handled most of the presentations that involved Siri), it is clear that he and his team already have many ideas for the service. In fact, looking back at them now, I think that his segments on iOS and macOS serve as an interesting prelude to this shift. 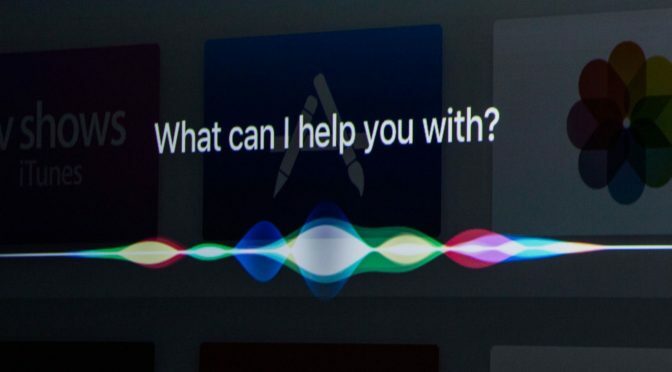 Rather than there being a single Siri slide in the deck devoted to what’s happening with the service, that information was revealed in multiple segments interspersed throughout the Keynote. And when we saw Siri, we always saw it synonymously tied to the use of AI and machine learning within Apple’s products. I think we can see here the foundations of a shift that will make Siri and its associated AI and machine learning a core part of both OSs going forward, rather than a piece that is simply bolted on in various ways, and to varying degrees depending on the platform. While this all sounds great in theory, in practice, moving Siri to Craig Federighi’s leadership alone isn’t a magic bullet. The Wall Street Journal’s scathing article back in June that used Apple’s own former employees’ quotes to criticize them for Siri’s lack of direction showed that the service was not enough of a priority within the company. The article made it clear that this didn’t help morale, and certainly didn’t help in retaining or recruiting talent. Making some of the necessary changes to the service will help, but elevating Siri’s position in the company to a place of greater emphasis and importance is even more critical. This is something that will require steady leadership with short-term goals for noticeable improvements and a long-term focus on the bigger picture. Again, this sounds a LOT easier than it will actually be. However, if you look at how iOS has blossomed under Mr Federighi, I think he’s the right man at Apple to lead the charge. Looking at where all operating systems, both desktop and mobile, are heading and how important AI and machine learning are becoming, Siri has to be vastly improved to become part of the core of Apple’s OSs . In this respect, Federighi’s ultimate success and his legacy at Apple are going to hinge on how this shift plays out. If Apple can start to make noticeable strides toward a Siri turnaround, then we could see the development of a virtuous circle, where innovation and standing within the company helps to attract and retain more and better talent, which in turn can help to drive more innovation, and so on and so on. That certainly has to be Apple’s goal. This level of change to Siri would then help to reshape the way users look at and use the service. That definitely won’t happen overnight, but Apple has proven with Maps that they are willing to commit to these kinds of long-term projects, rather than walk away when things don’t initially go as planned. There is already evidence that Apple is making changes to become more appealing to the kinds of AI and machine learning experts that they will need to make Siri a better product. First off, they bought AI startup Turi last August. Then they hired Russ Salakhutdinov from Carnegie Mellon to bolster and give academic credibility to their AI efforts. They have since started loosening up restrictions on their intellectual property and they are now both allowing AI workers to publish, as well as share information via an online journal that has been set up at Apple.com. Even better, Apple’s first AI paper, which was published last year by the aforementioned Salakhutdinov, recently won a Best Paper Award from the Conference on Computer Vision and Pattern Recognition. This is one of the premier AI conferences, and this paper was one of only two selected out of 2,600 submissions. Engadget had an excellent article (ironically published around the same time as the WSJ’s on Siri’s past mismanagement) detailing all of the positive steps that Apple has made over the last year to revamp its AI and machine learning efforts and bolster Siri. It’s well worth a read to see the changes that should start bearing tangible fruit for us users in the next few months. These moves are just a start, but they demonstrate that Apple is willing to make changes, not just in personnel and tech investment, but to their core corporate culture, to attract the right talent to push Siri and their AI and machine learning efforts forward. I had pretty much given up on Siri heading into this year’s WWDC, but I have renewed hope that these decisions, along with moving Siri to Craig Federighi’s team, will have enough impact to get Apple back into the thick of the AI and Digital Assistant race. It’s great to see that Apple is finally taking Siri seriously. What do you think of Siri? Love it? Hate it? What would like to see improved or added? Let me know in the Comments section below, on Flipboard, on our Facebook page, or on Twitter @iPadInsightBlog. Previous PostWhat’s in a Name?- The iPhone Edition EditionNext PostiPhone Plus Owners- Are You Willing to Downsize to Get the Latest and Greatest? As you state, Siri needs massive improvements to make up the ground it has lost to the competition over the last five years. These include significant improvements in understanding the ways people actually express queries. We should not have to adapt to Siri: Siri should adapt to each individual that uses it. Personally, I am more interested in Siri becoming more accurate and successful in answering queries than in Siri learning to anticipate my needs. I agree. It’s unfortunate that Apple had a lead in this regard at one point. Siri was the only context-based assistant for a few years. It even took Google a while to catch up, and Amazon gets a free pass even though they STILL require set query patterns because Alexa is so solid in other areas. Unfortunately, Siri’s contextual awareness is still only skin deep. It doesn’t take much effort to find holes where Siri trips up and doesn’t understand, or no longer recognizes that you are continuing a query and starts over again. Getting it half right just leads to a LOT of user frustration, and that’s where they are right now. I think beefing up their AI and machine learning efforts will help to fix this. For a system to improve at natural language recognition, it has to start learning how to categorize and group patterns of speech. If Apple can improve that side of Siri, better natural language recognition will inevitably follow.